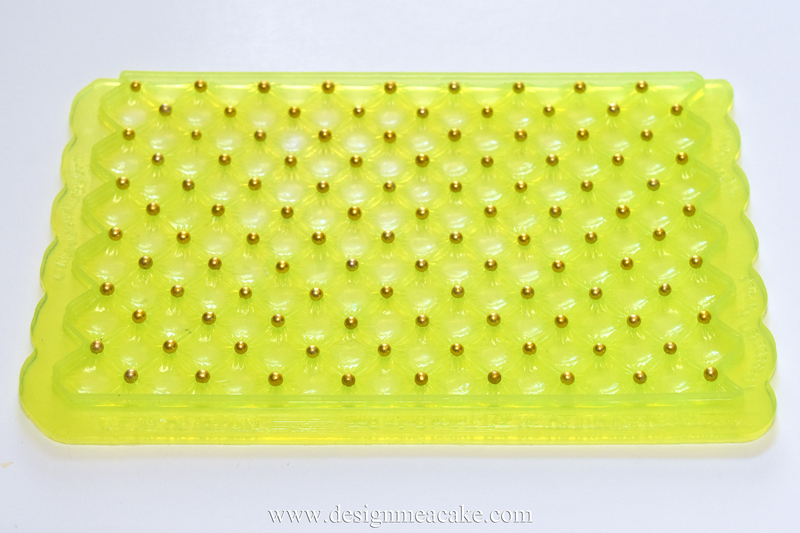 I had to make a cake a couple of weeks ago and I decided to use this new product from Marvelous Molds called Simpress. I love anything that makes my work fast, pretty and easy. 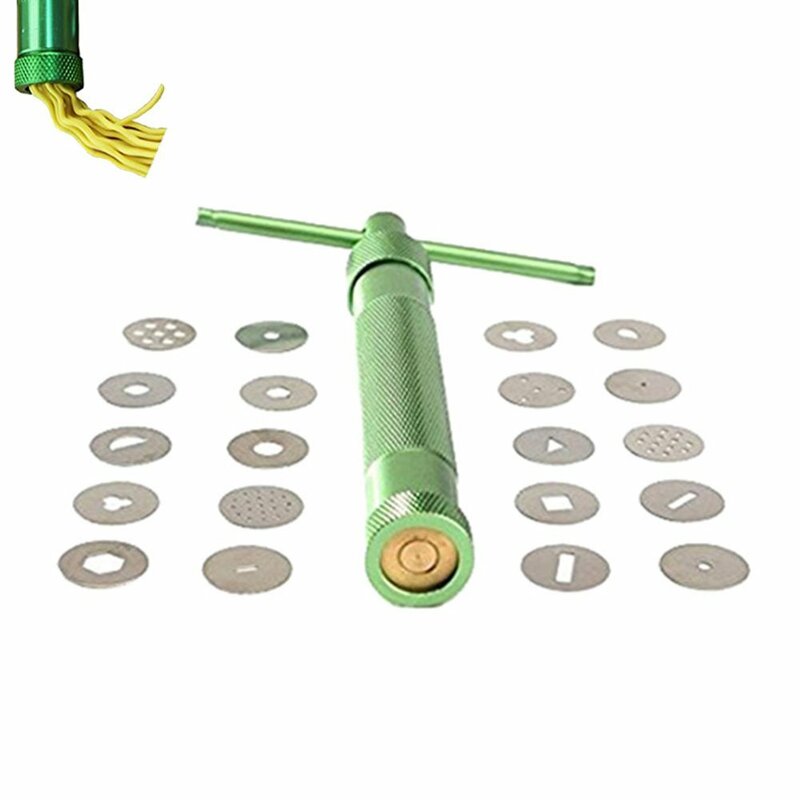 This product it’s pretty cool. 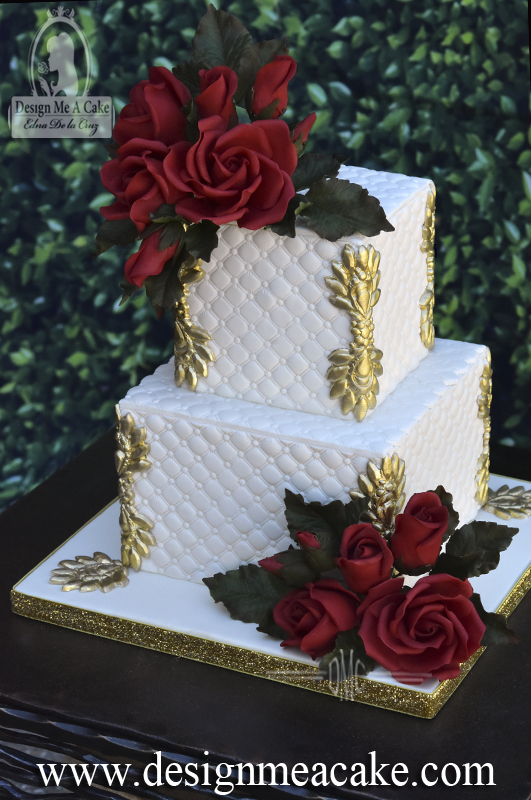 It covers the cake fast with a beautiful design and it’s pretty easy to use. It comes in 3 different designs at the moment and I am hoping they come with new styles soon! 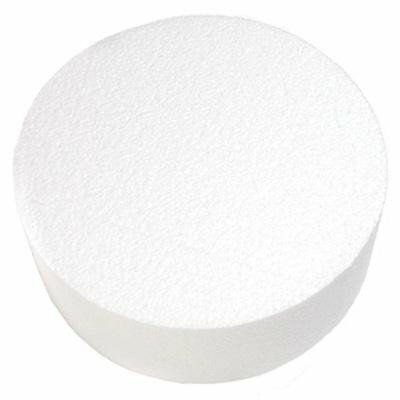 You can place this over buttercream or fondant and it joins really well at the seams. It measures 4 inches tall, so it covers your standard cake but you can stack each piece if you need it for taller cakes. I used a dummy for this tutorial and I showed how you can apply the mold in 2 different ways. Since it was a dummy, it was covered in fondant, but the cake above was made in buttercream and it worked just as well. I do advice to place the cake in the fridge and let the buttercream harden up before you place the mold over it. As you can see, the side edge of the mold it’s not even. 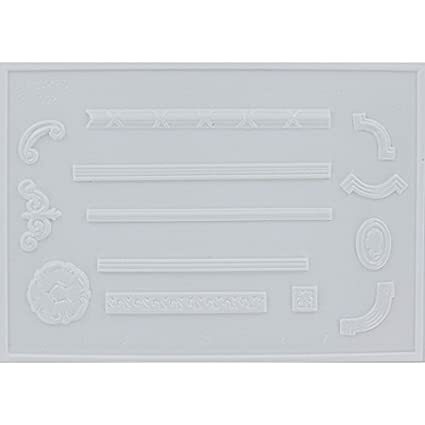 This is so you can place the next mold side-by-side and align the pattern creating a continuous flow which eliminates joint lines. In the video I used the Jubilee Sequin Mold and I’m totally loving it. 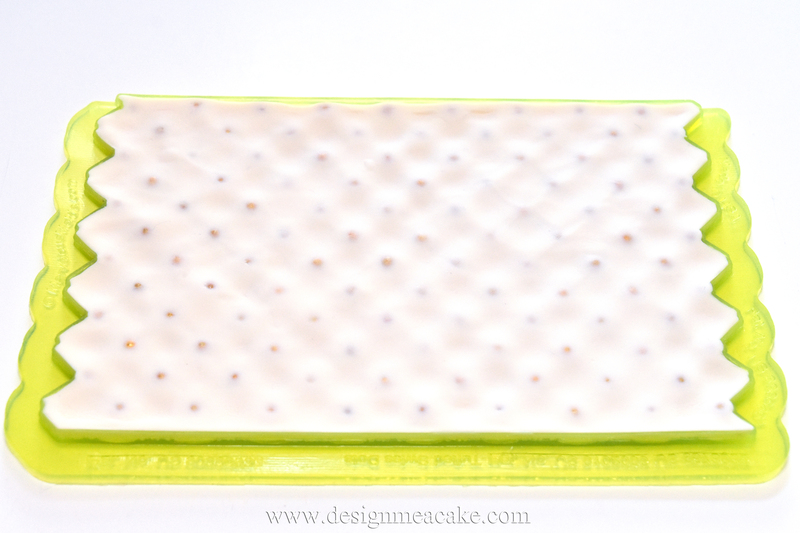 In the tutorial, I show you a way to finish the back of the cake where the mold doesn’t meet. 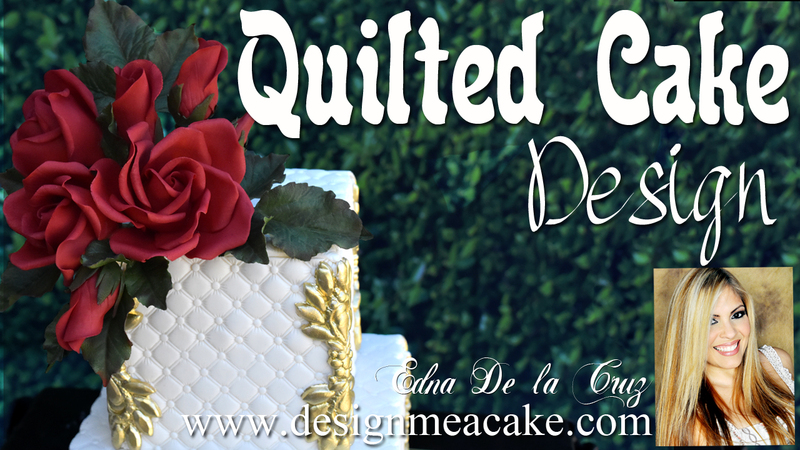 All cakes have a back side; I just tend to finish it in a straight line for those times the molds don’t meet at the back. Also, you can always add buttons, use an extruder machine to create a delicate rope or even cover it with single sequins if you want to hide it. I finished the top edge with a line of cutout circles that I made with a piping tip #12. Then I made a hole with a needle. 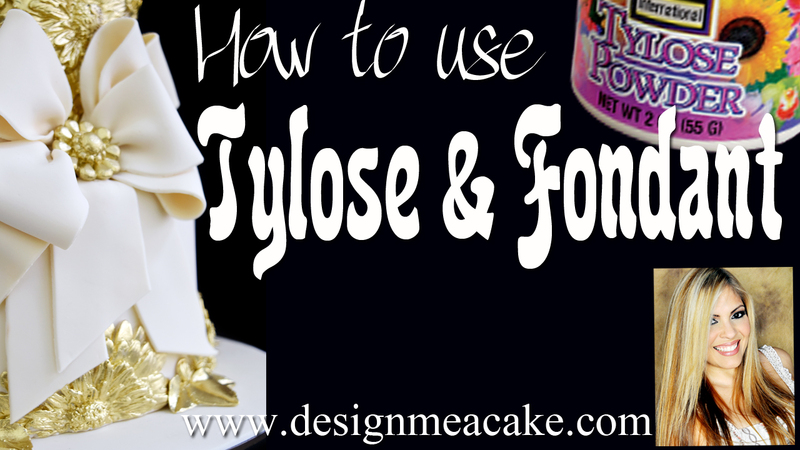 I did add a bit of Tylose to the fondant so I could move faster since the Tylose hardens the fondant and makes it easier to cut. These patterns come alive with some luster dust, so feel free to paint them with your favorite colors. To make this easy, I tend to have the base color as close as I can to the color for the luster dust I am using. I love how this cake turned out. Click here to watch the tutorial I made for this tool. Click here to go watch video. I hope you enjoy the blog and tutorial. Here are some of the other tools I used for this cake. Click here for the top border cutter painted in gold. Click here for Gold highlighter. Click here for Luster Dust. 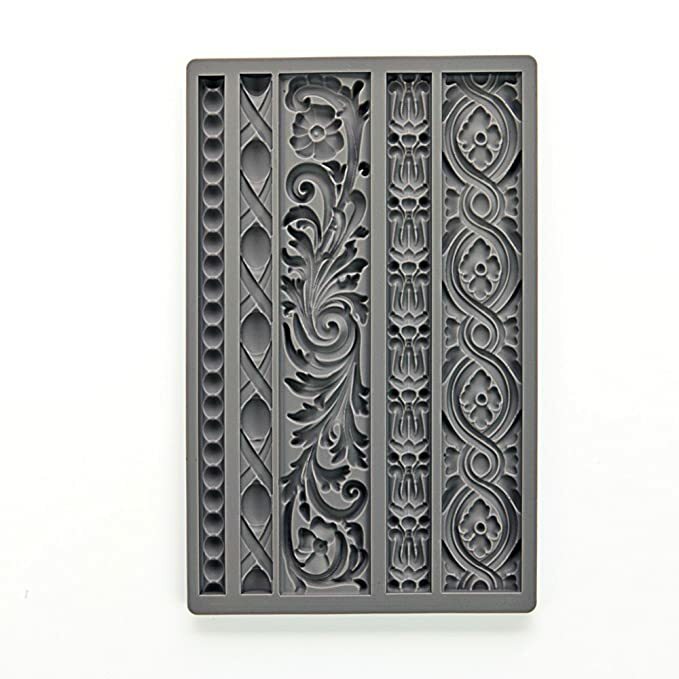 Click here for Pearl border mold. Click here for Edible Images from Icing Images. Click here for Marvelous Molds or click on the photos below. *There are links posted in this Blog that I will earn a very small percentage of their sales. I only promote products I love and believe in, and products I use. The commission earned will be used towards new tutorials.